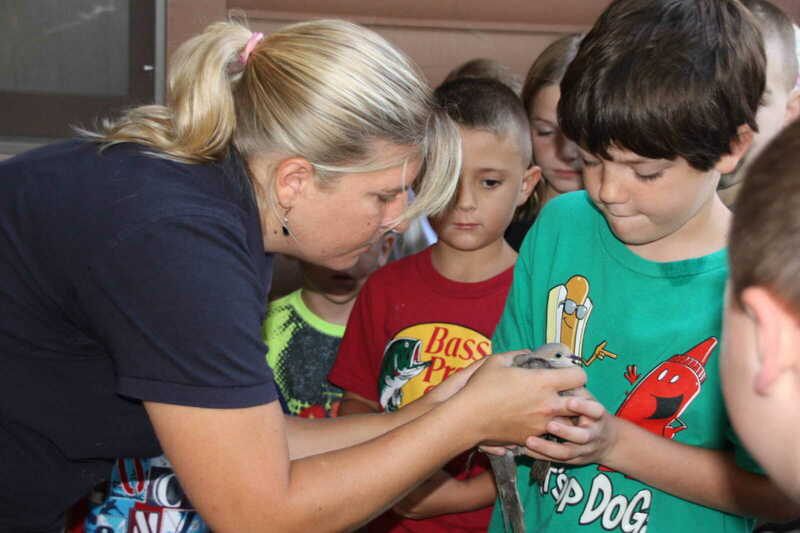 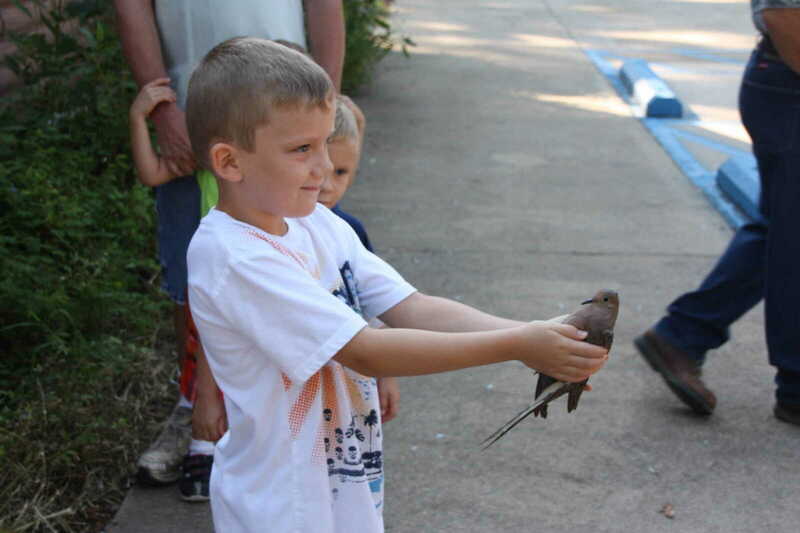 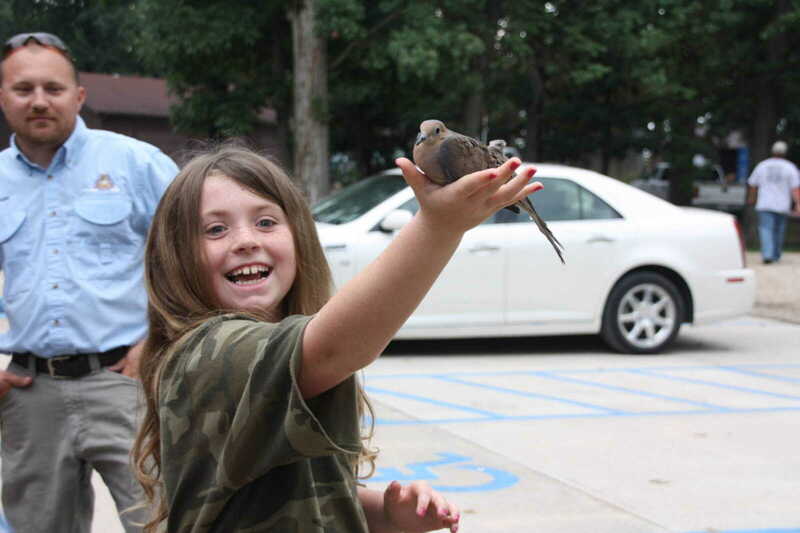 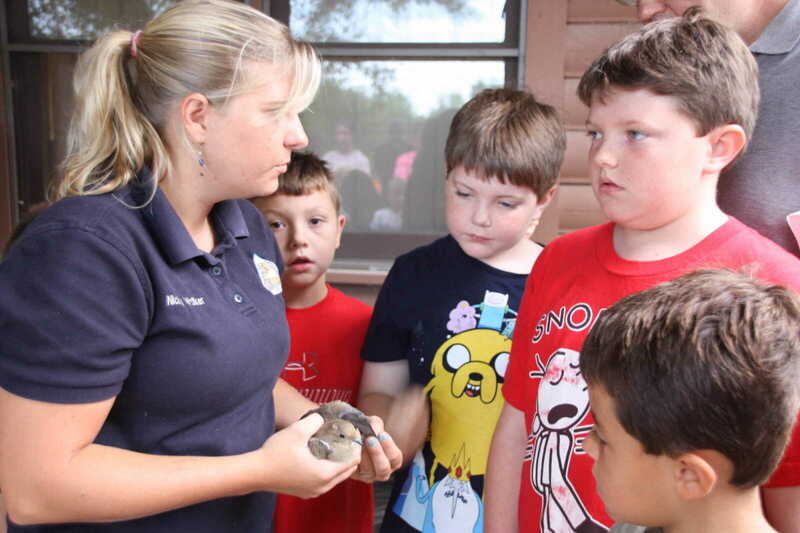 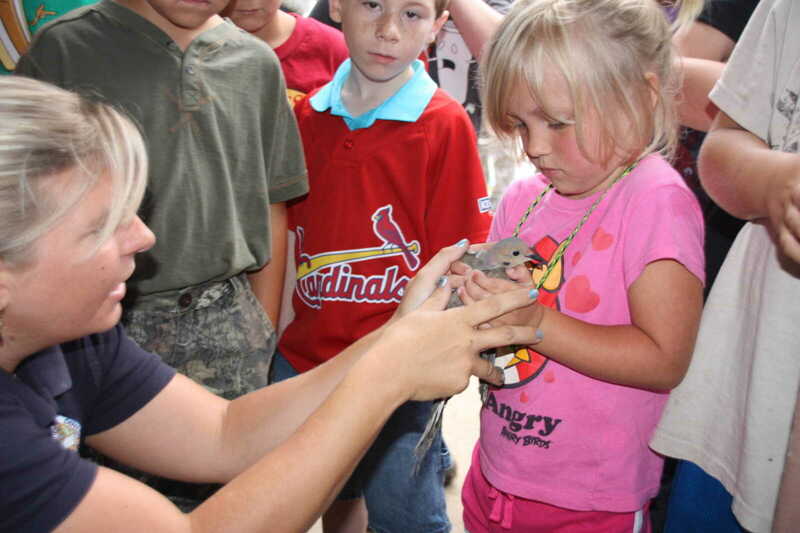 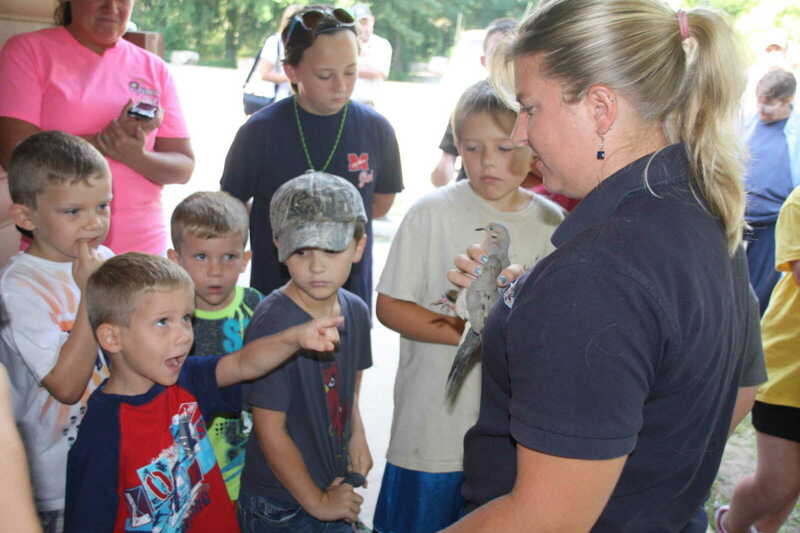 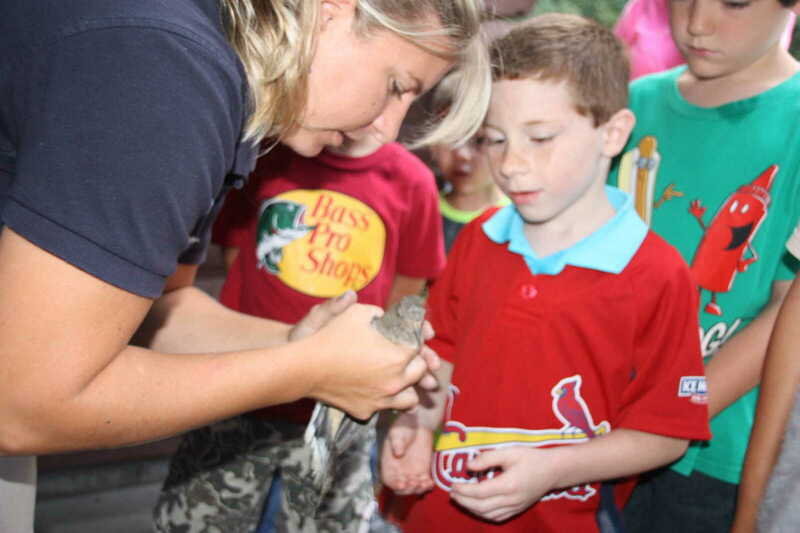 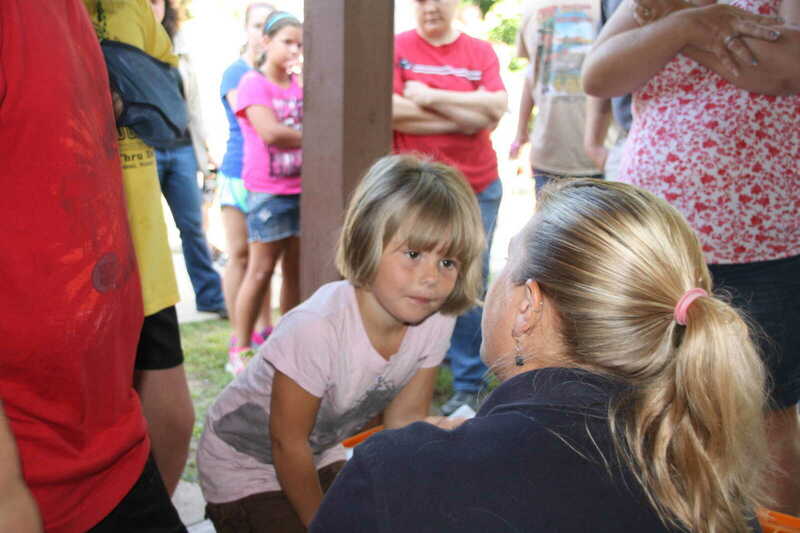 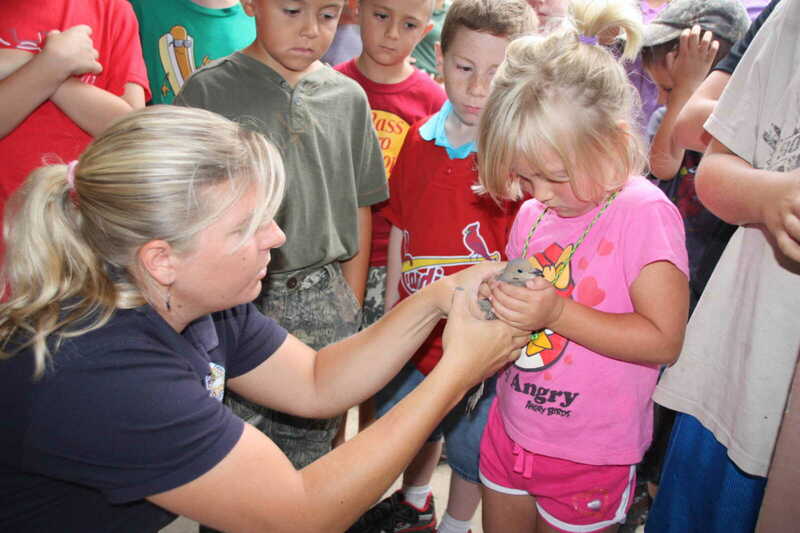 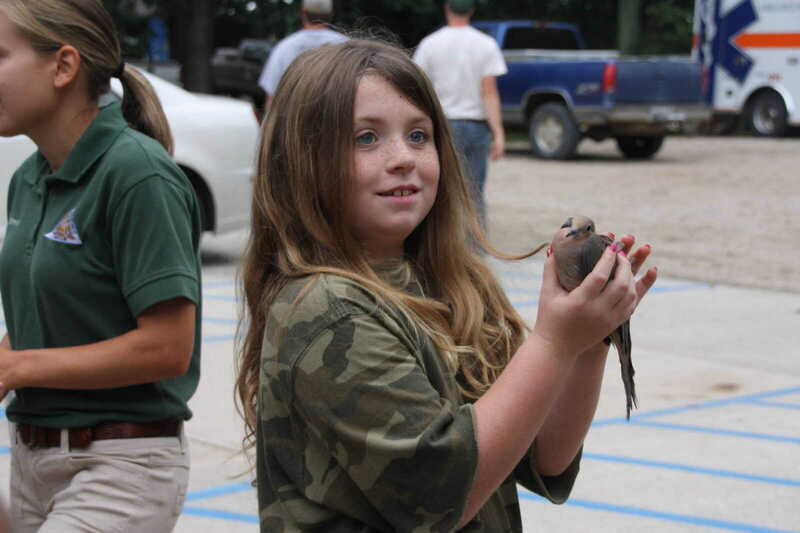 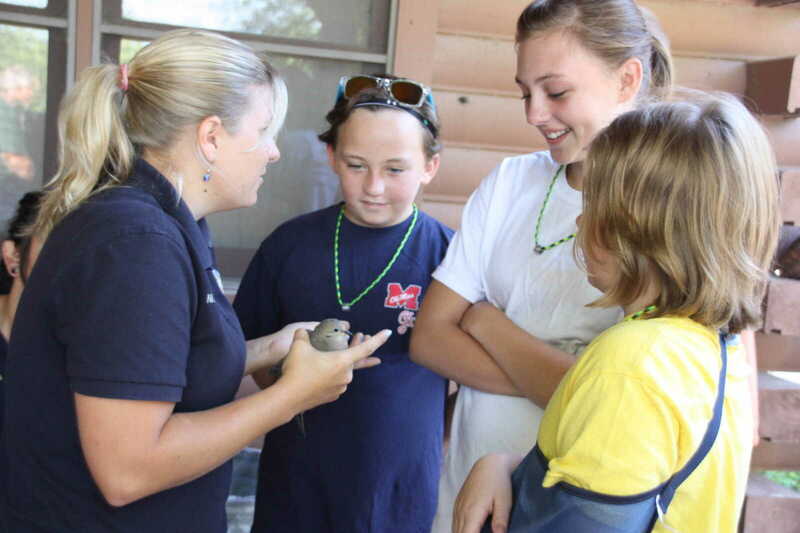 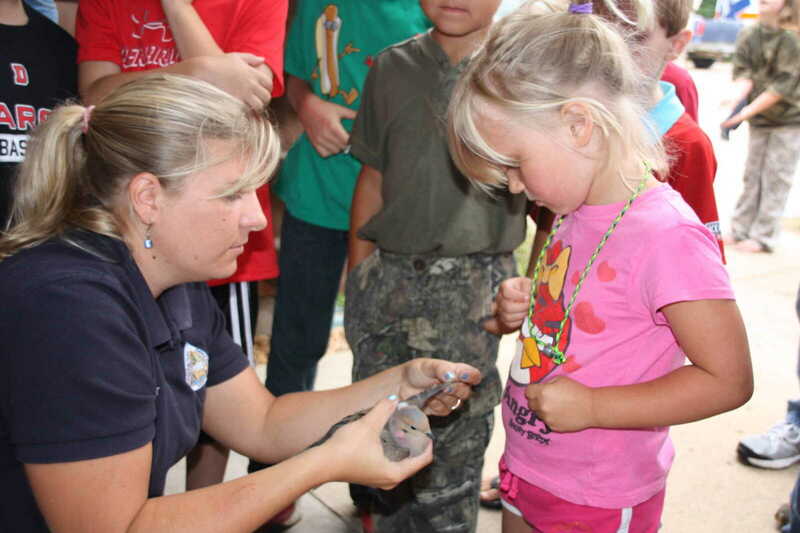 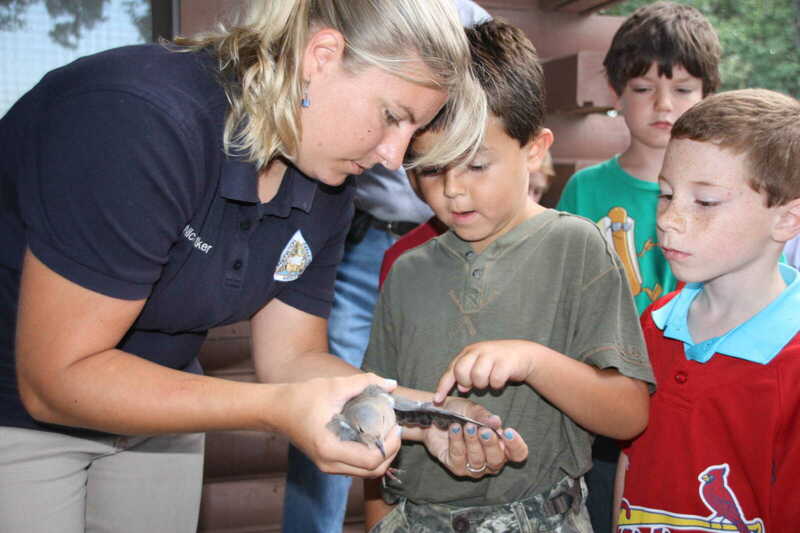 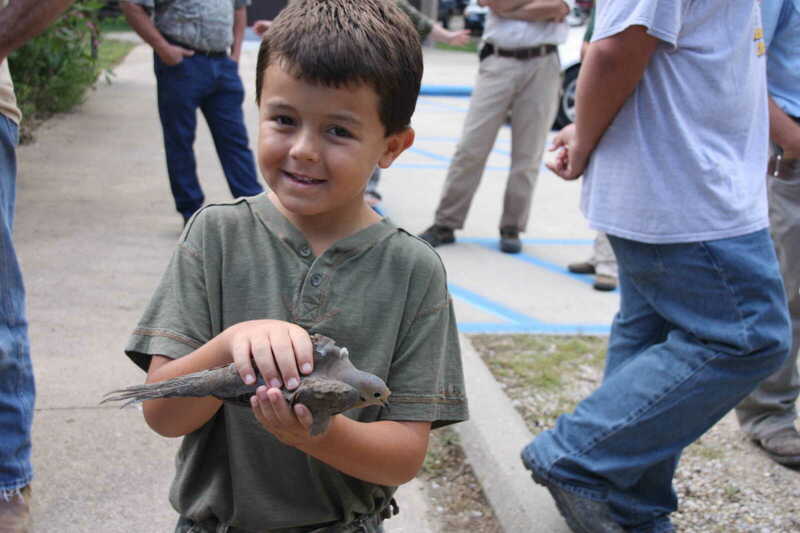 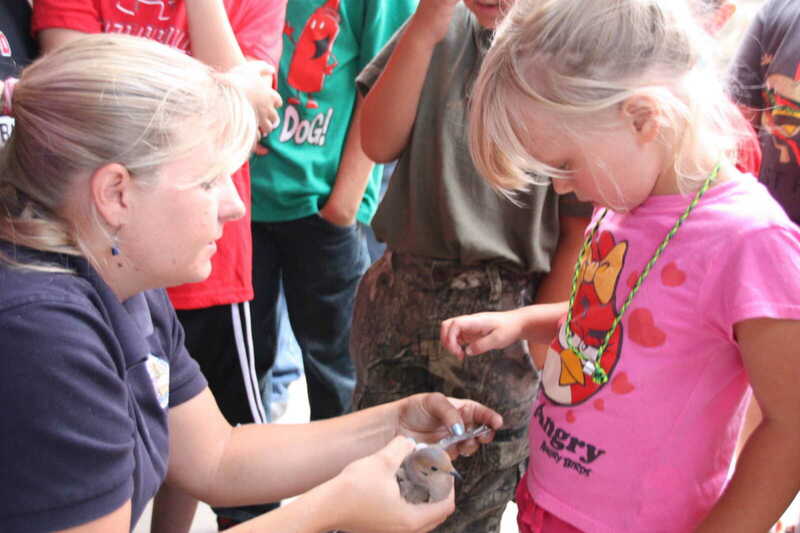 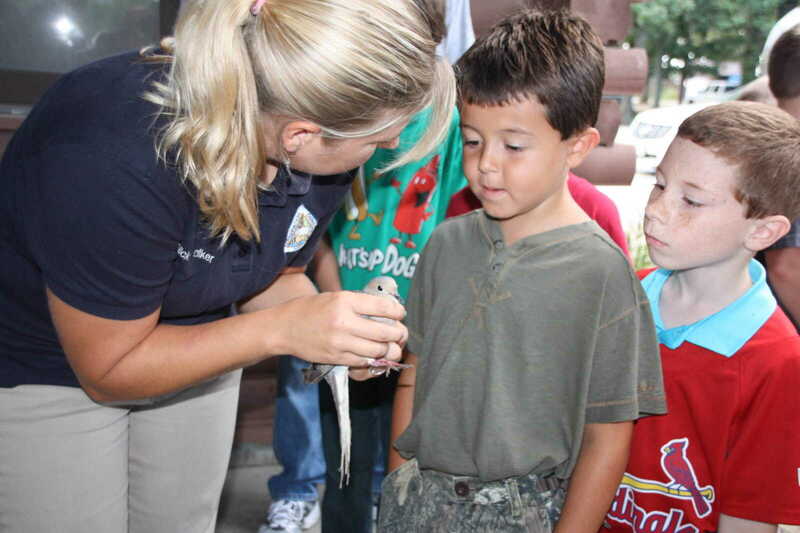 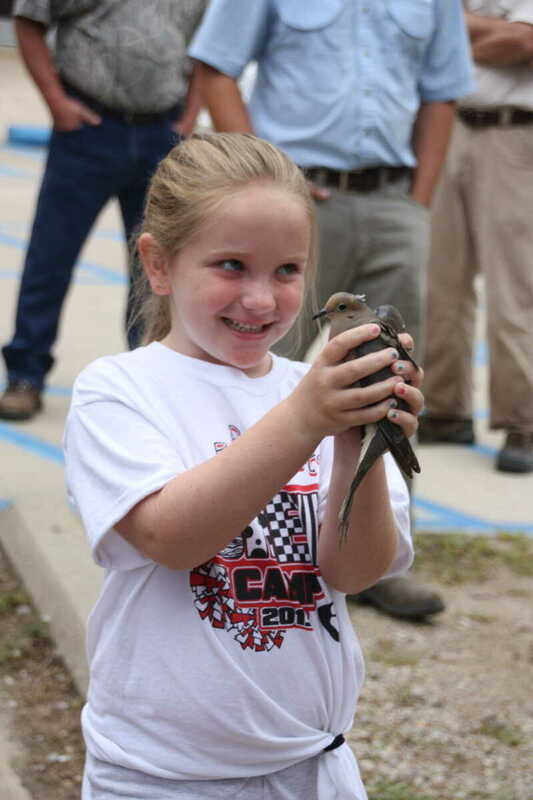 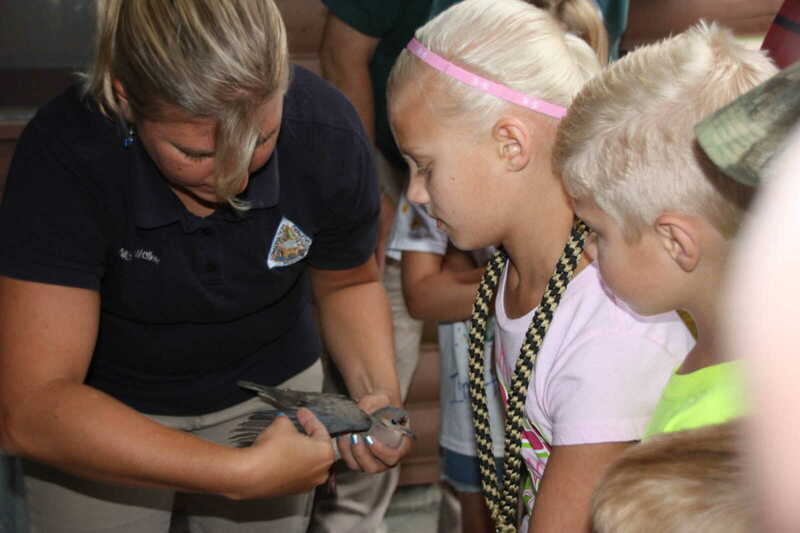 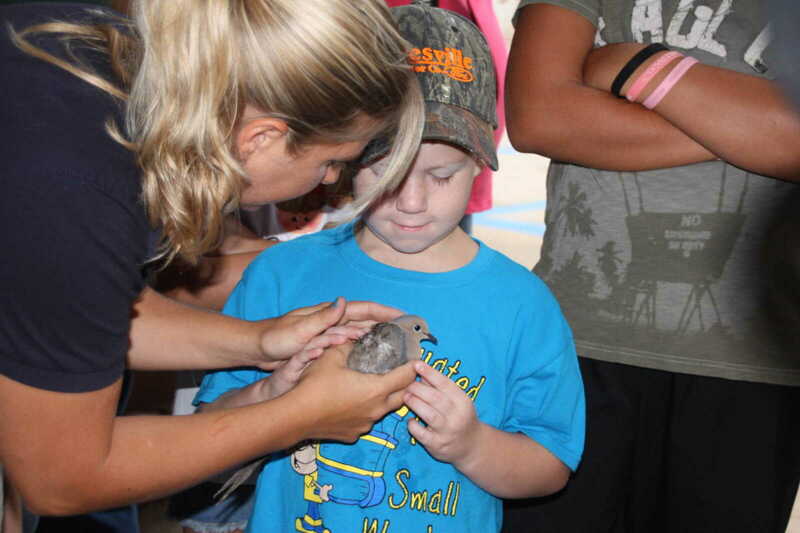 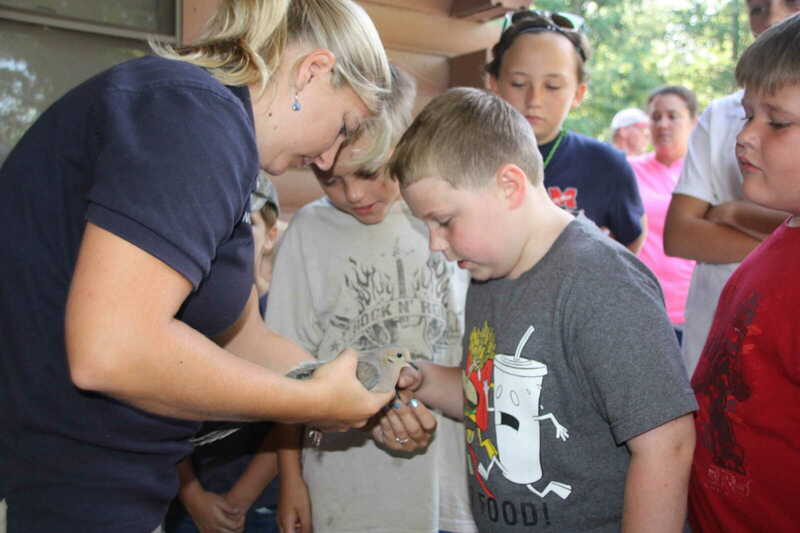 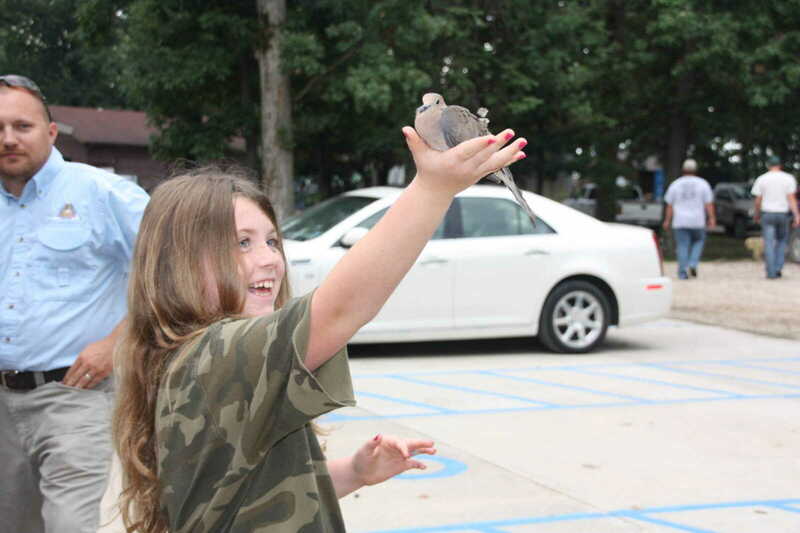 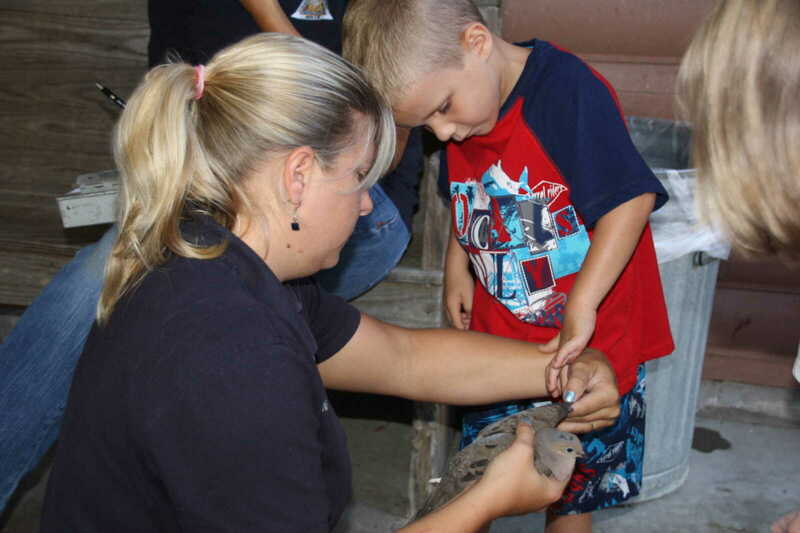 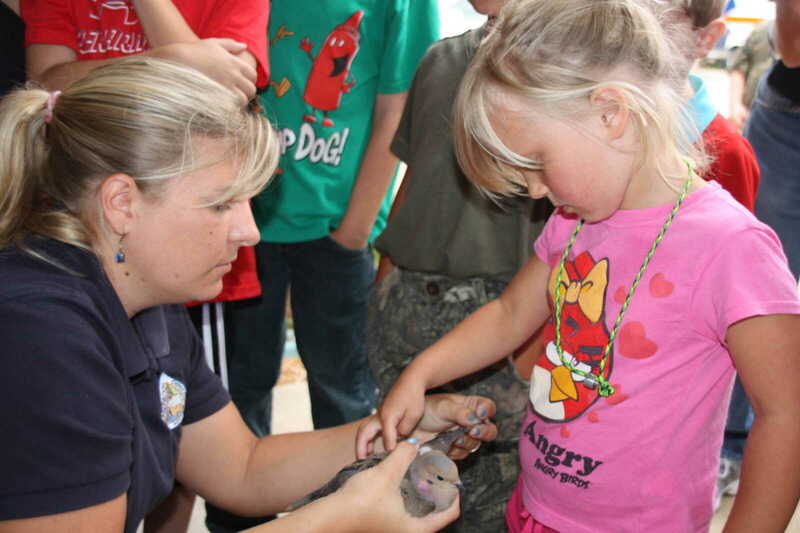 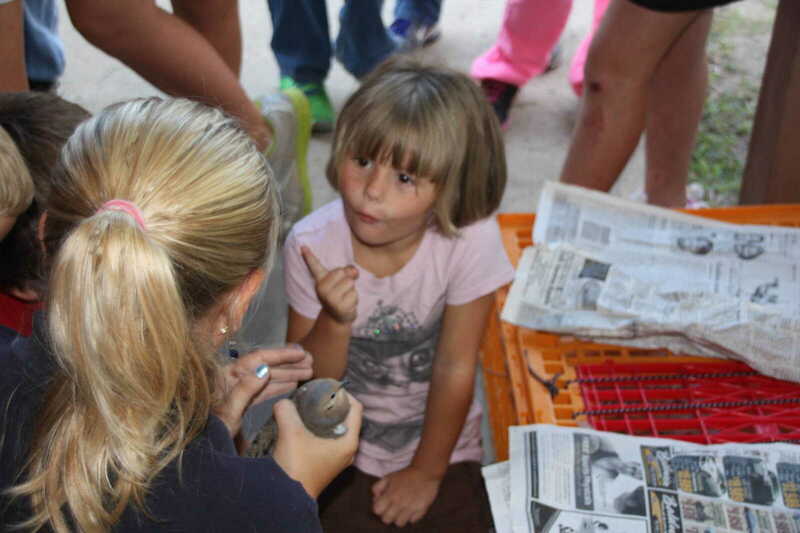 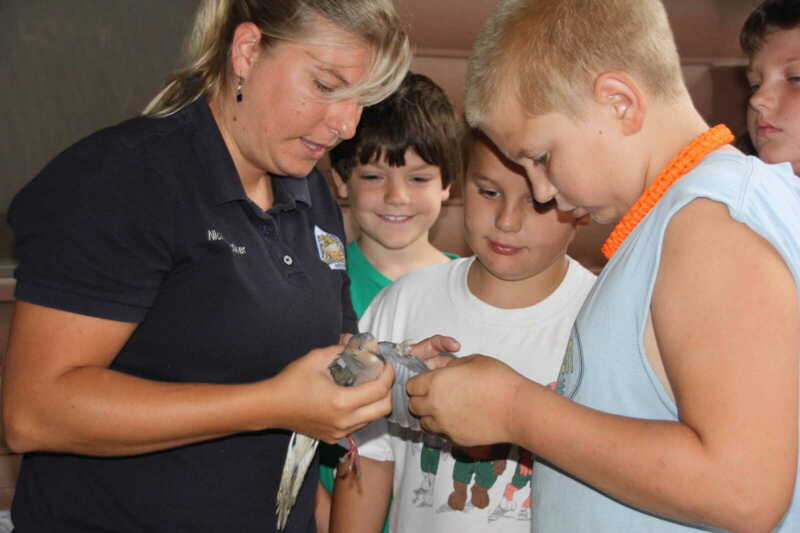 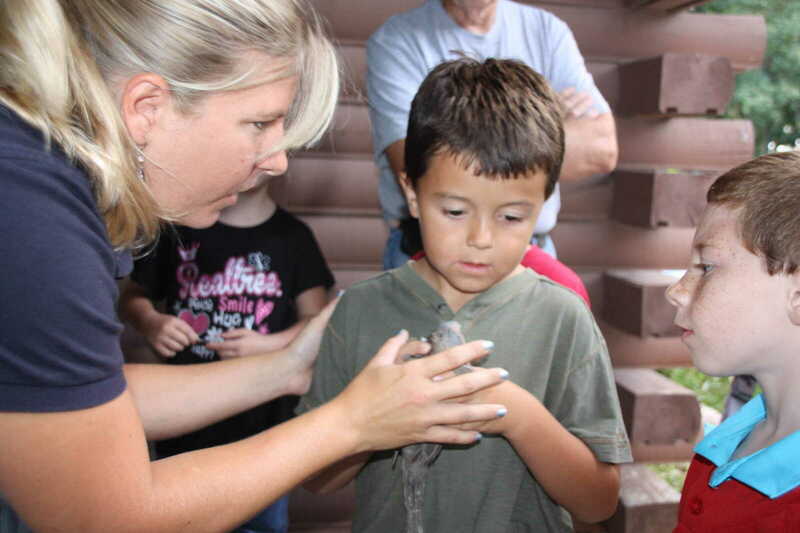 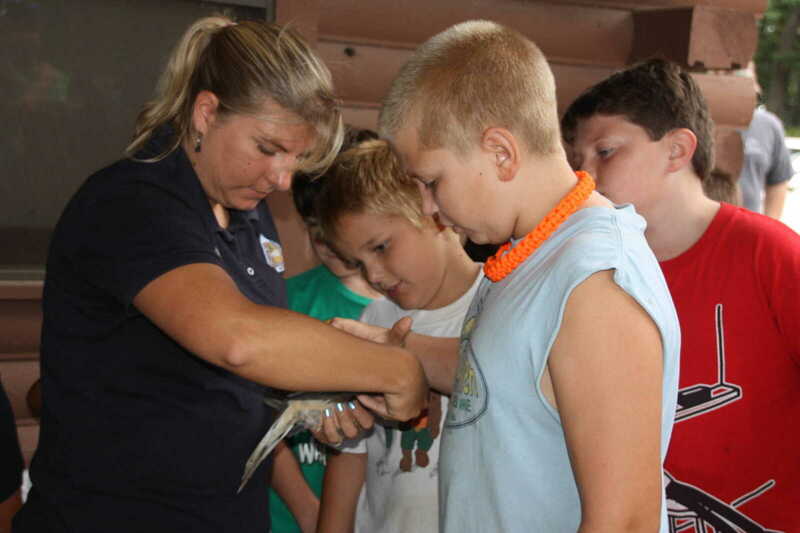 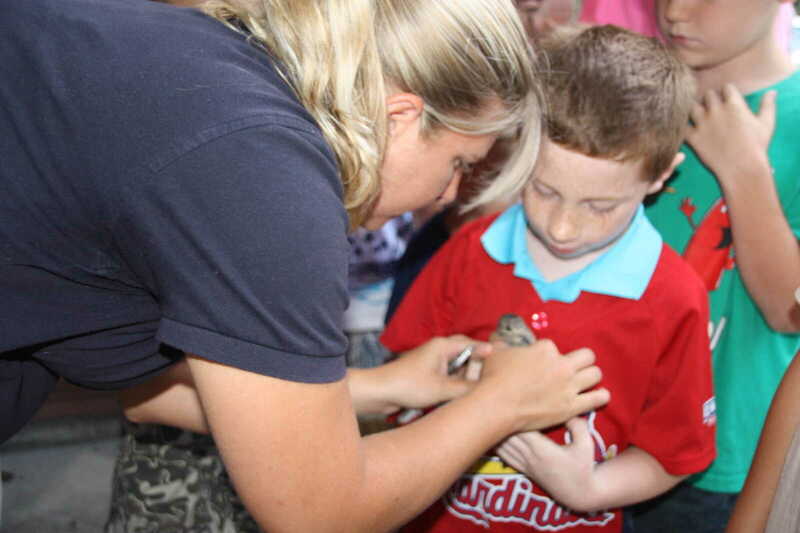 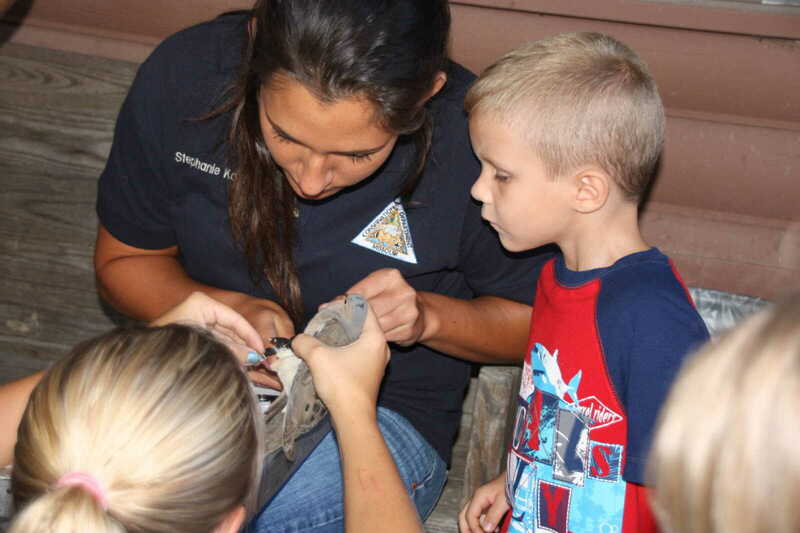 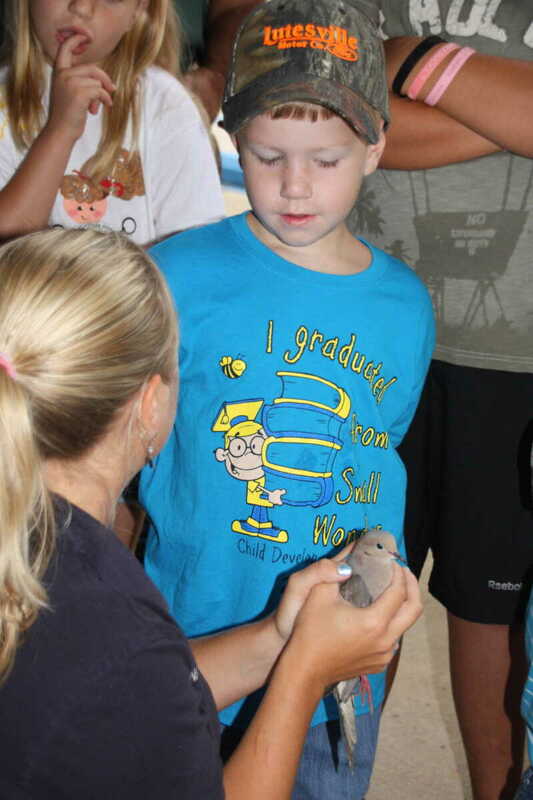 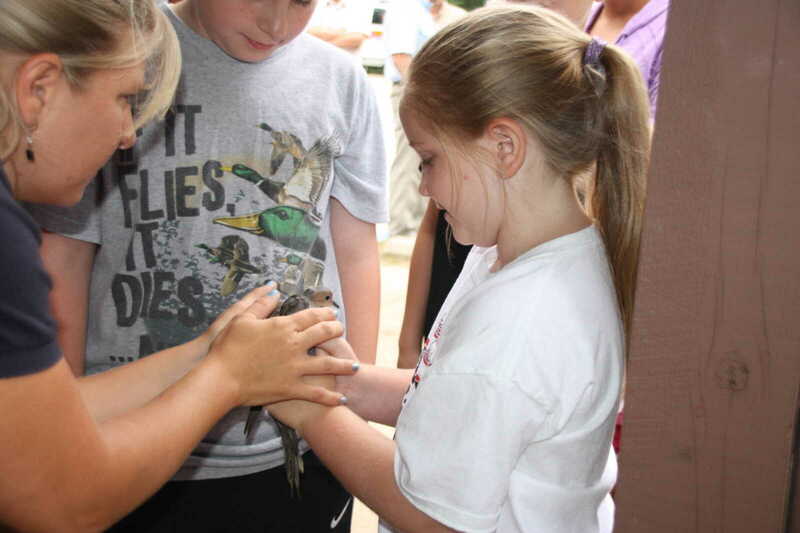 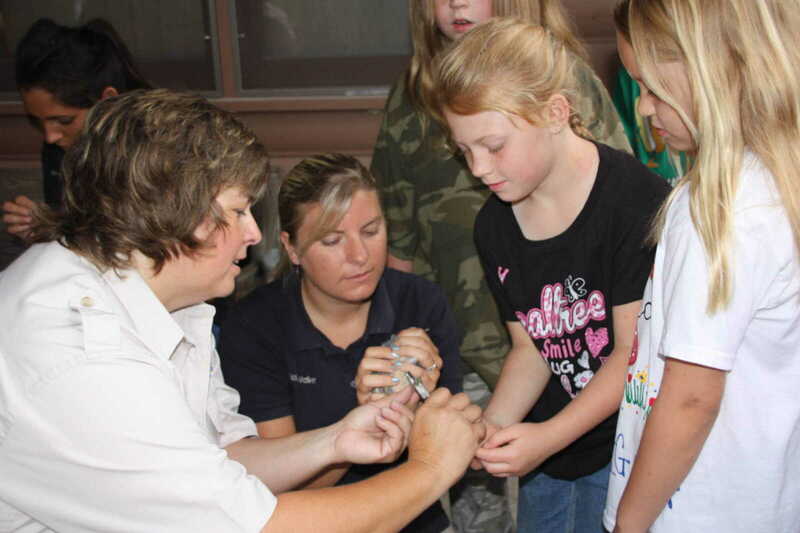 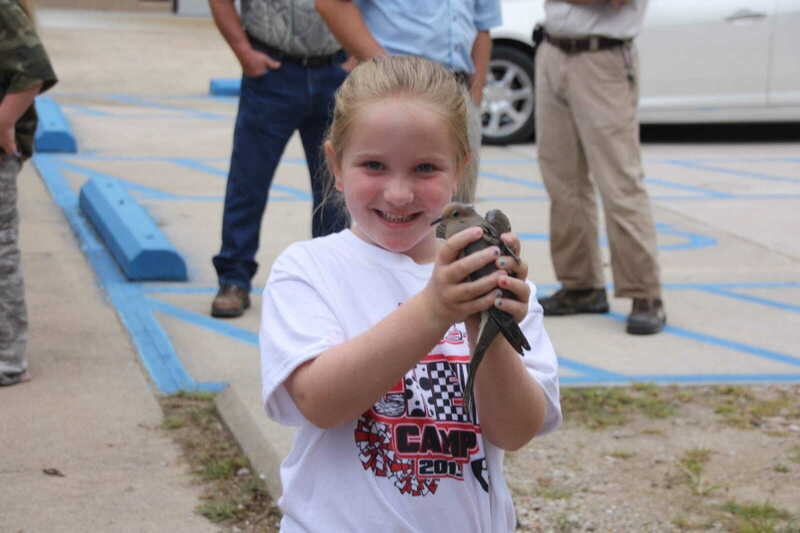 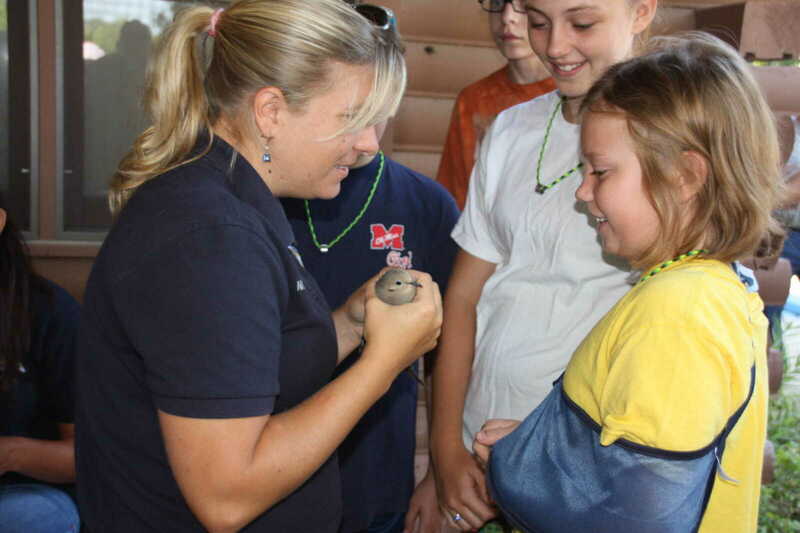 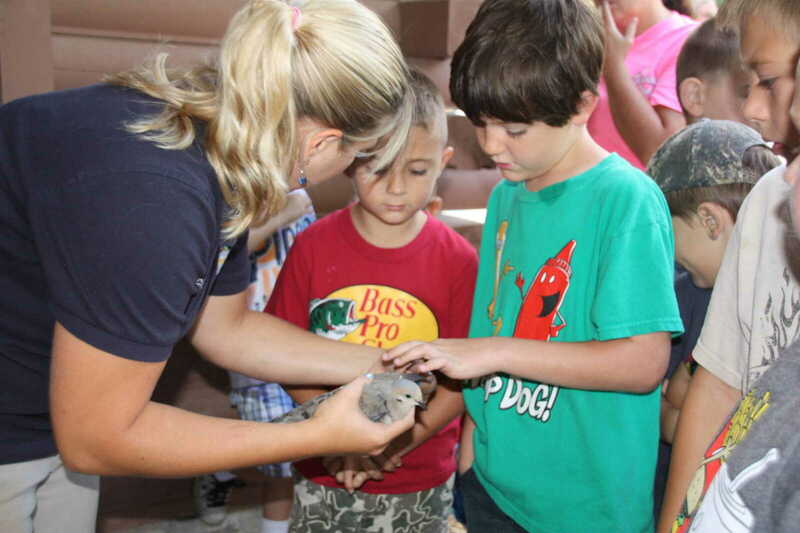 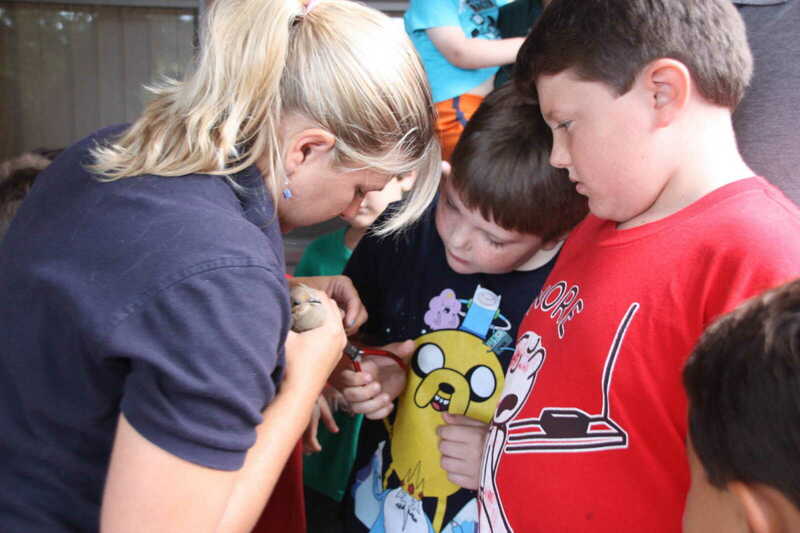 Otter Slough and the local chapter of Ducks Unlimited hosted their annual Bird Banding event on Saturday, July 27, 2013. 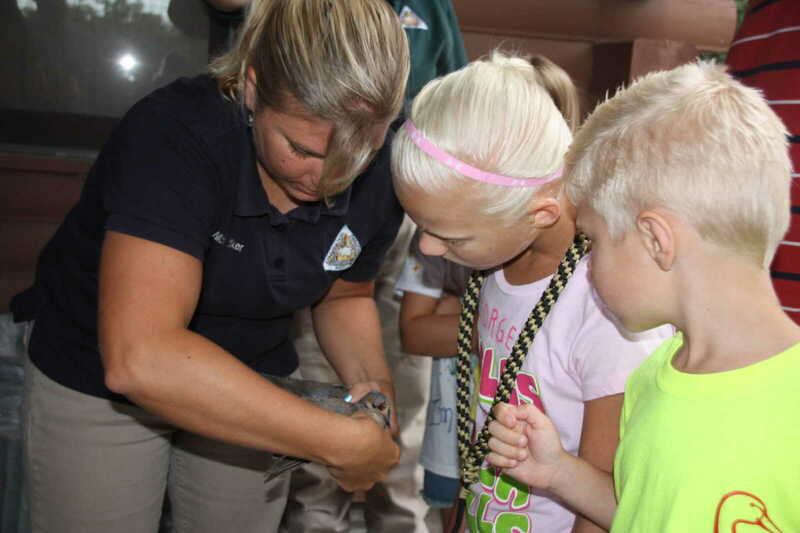 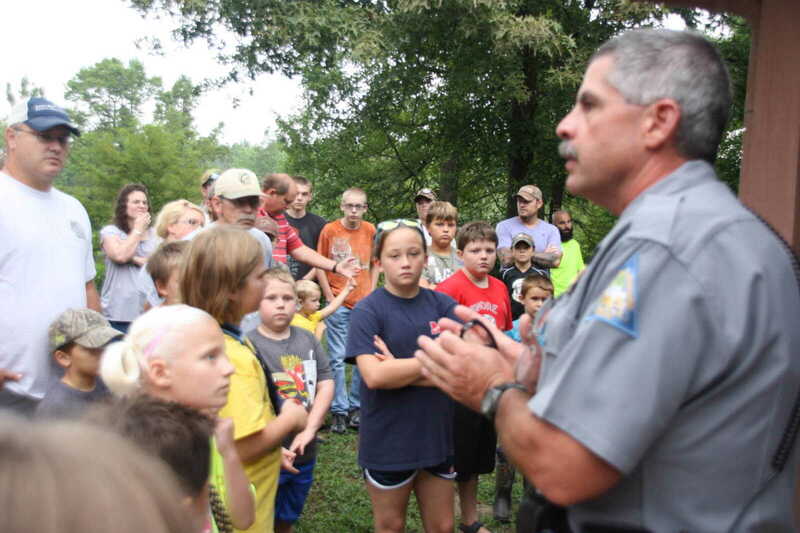 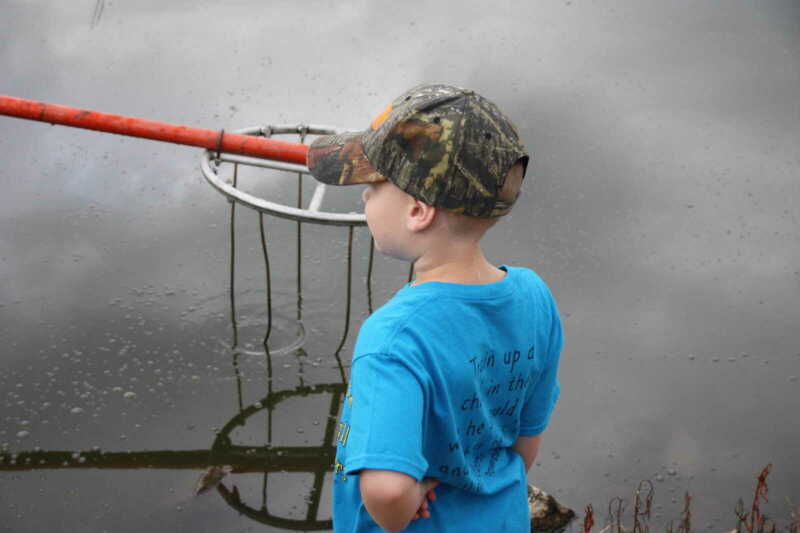 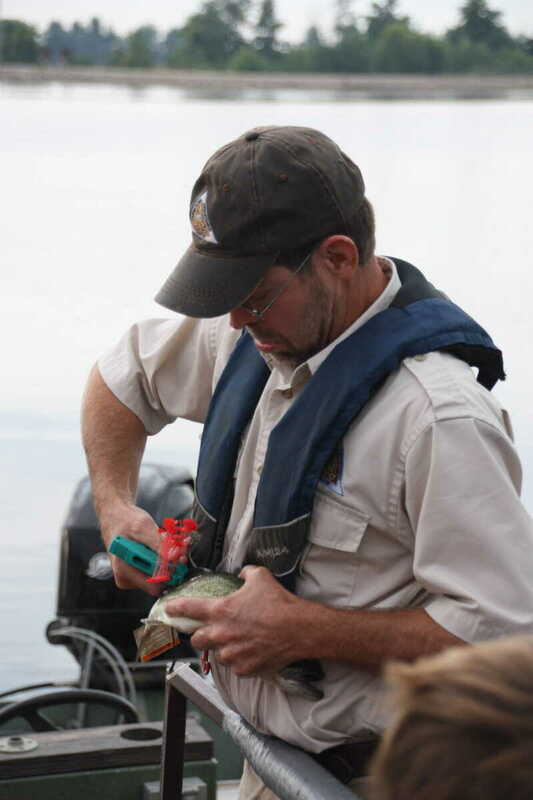 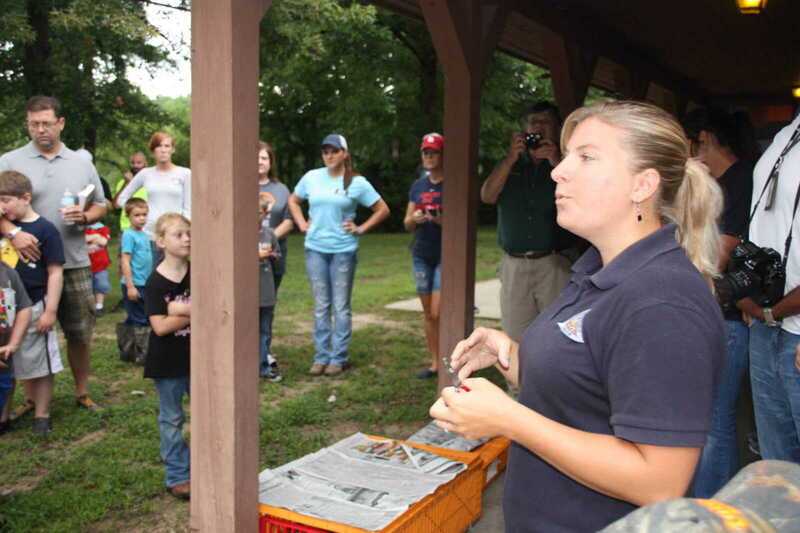 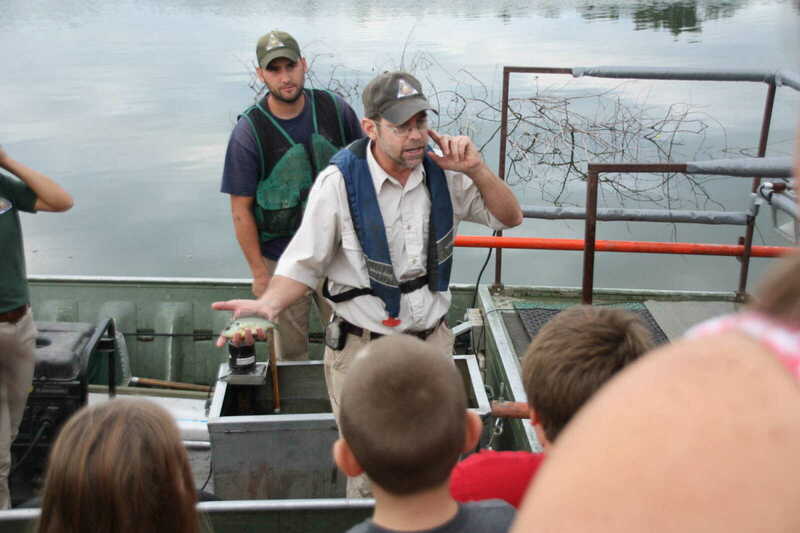 Visitors to Otter Slough were first treated to a demonstration by Missouri Dept. 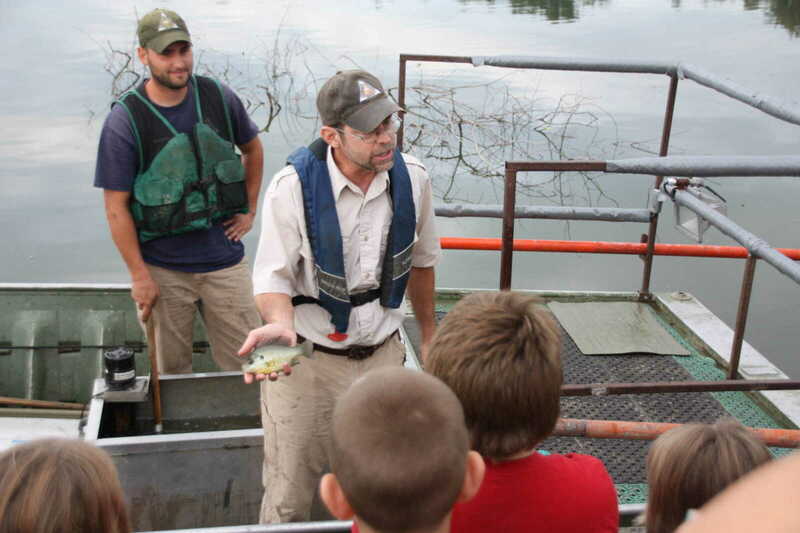 of Conservation Fisheries Management Biologist Mike Reed and his crew on Cypress Lake at the slough. 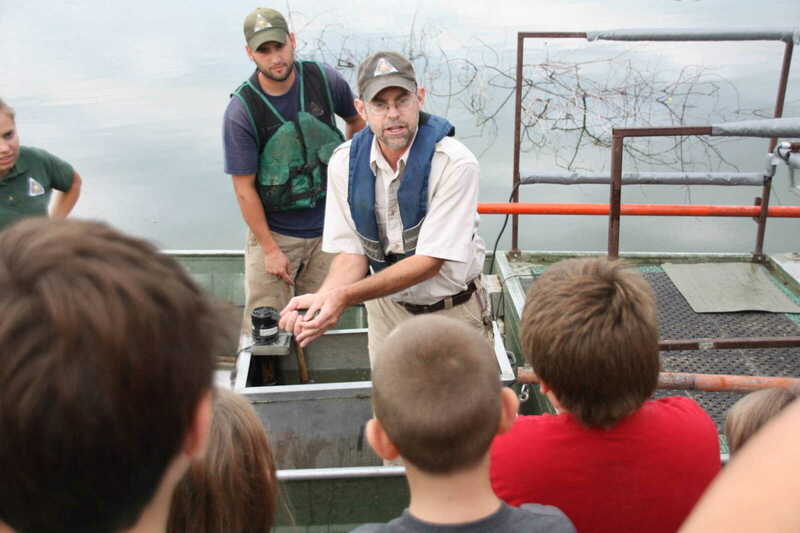 Reed demonstrated the techniques of electrofishing and how that science is used to promote and control the slough's fish population. 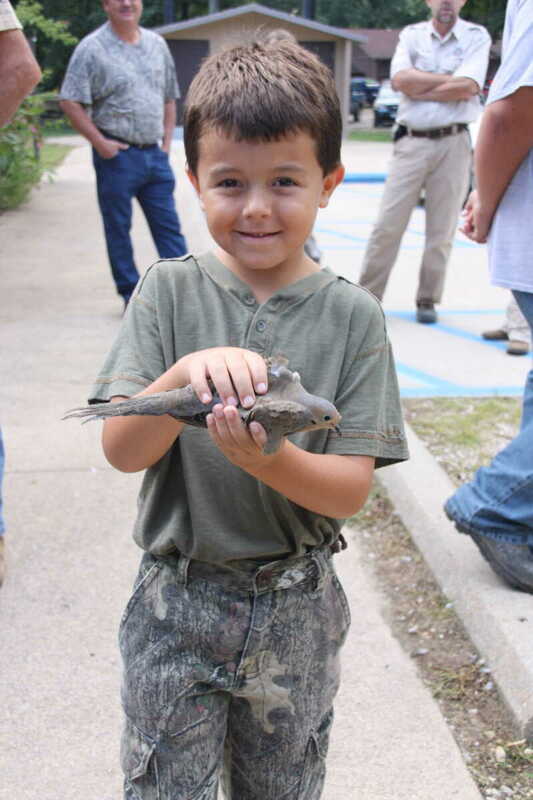 Youngsters then were afforded the opportunity to band a dove or duck with MDC personnel on hand to explain the benefits of that practice. 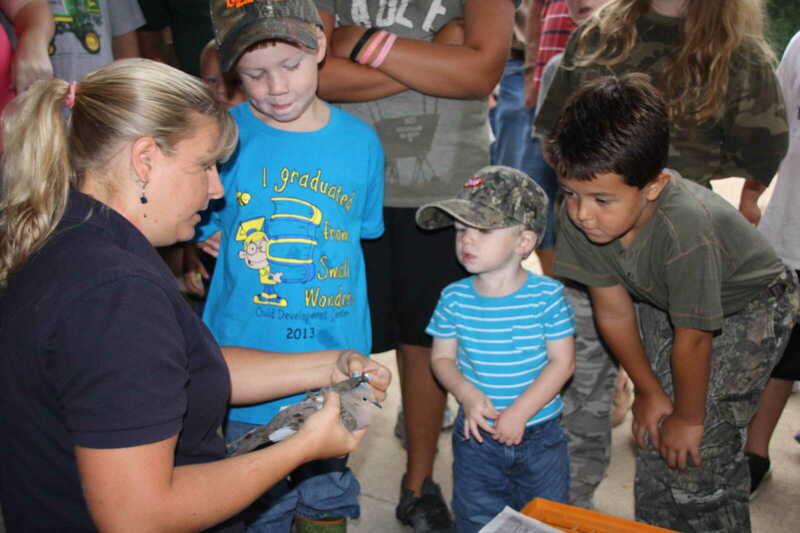 Thanks to Duck Unlimited, every attendee at Saturday's event left with a host of items provided at no cost. 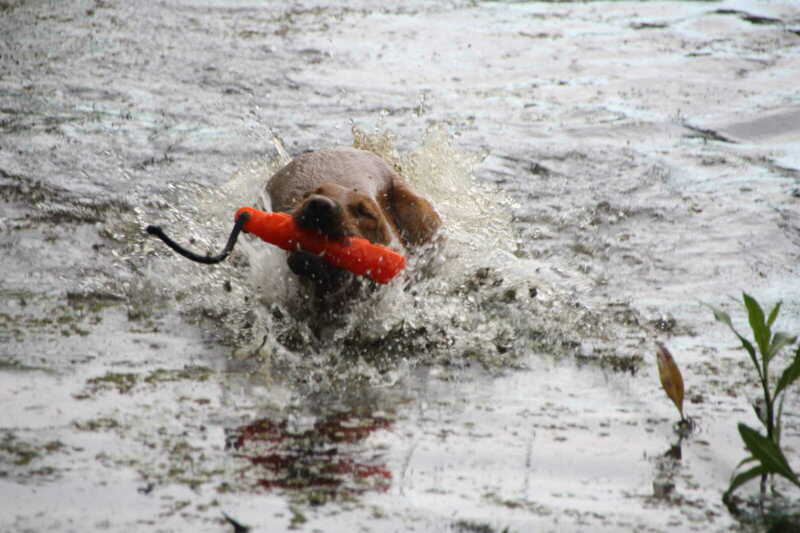 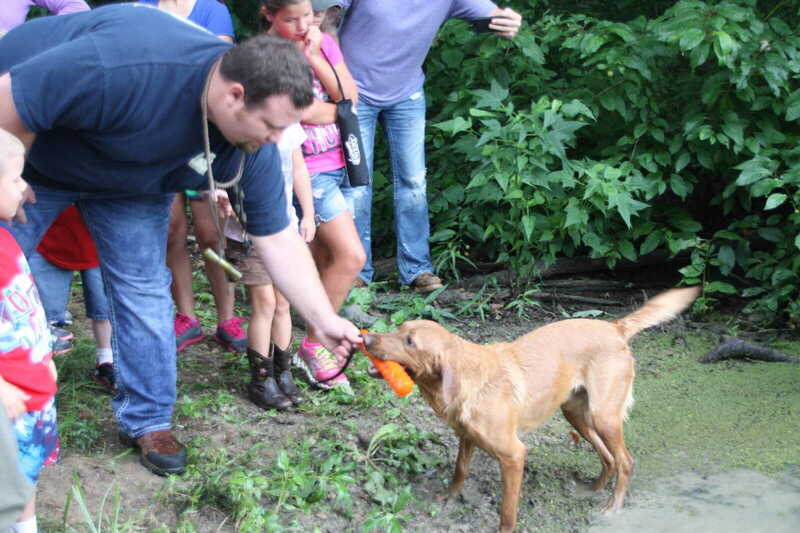 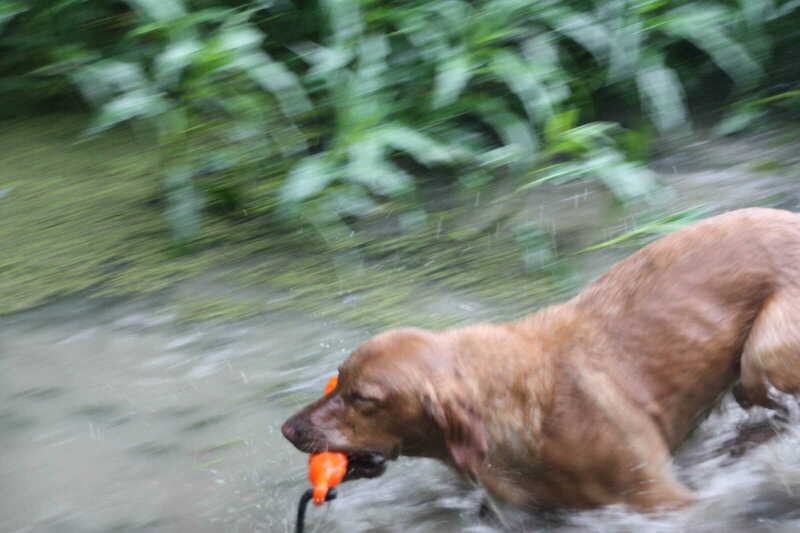 Also on hand this year was Dustin Whitaker, who demonstrated the art of retrieving with his labs. 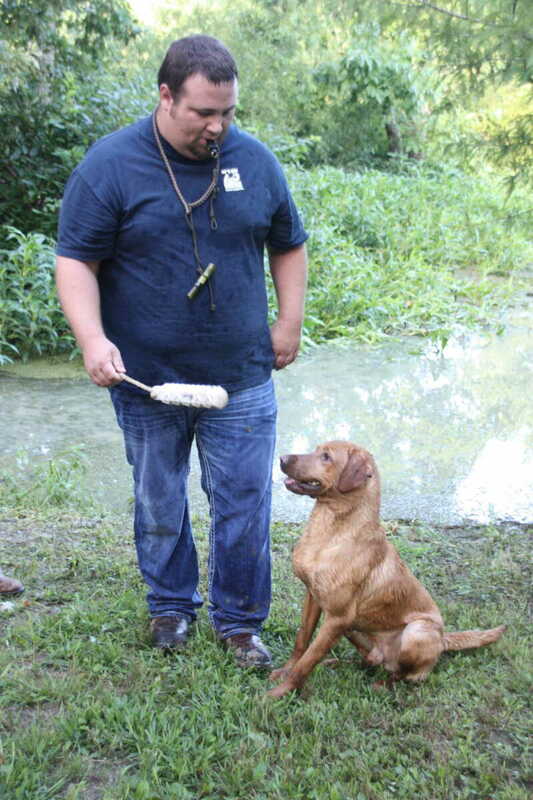 Whitaker explained and demonstrated the techniques applied in training a dog to retrieve.